The defendant failed to provide breath samples. A banned driver who took his Cliviger stepmum's Jag and hit a wall could be facing jail. Lee McDonagh was walking away from the vehicle when police arrived. 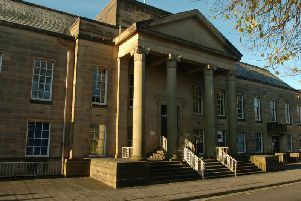 He failed to provide breath samples both at the roadside and police station, Burnley magistrates heard. The 32-year-old admitted taking the car after officers responded to reports of crash from a witness. The court was told the starting point for what he had done was 12 weeks in custody. McDonagh, who has a record for driving after being banned from the roads, admitted driving the Jaguar X-Type on Burnley Road in Cliviger whilst disqualified, aggravated vehicle taking, no insurance, failing to provide a specimen for analysis, and failing to stop after an accident on September 13th. The defendant, of Rochdale Road in Todmorden, will be sentenced at Blackburn Magistrates' Court on October 12 and was given an interim ban.